ELEVATION GAIN: + 6,810 ft.
On your first day, as you leave our camp at Discovery Park you will ride past the Lucky Peak Dam. The dam was constructed in 1949 as the last part of an Army Corps of Engineer Project designed to generate hydropower and streamline irrigation from the Boise River. Arrowrock Dam and Anderson Ranch Dam were the two other dams built as part of the project. Before the dams were constructed, logs would be run down the Boise River from Idaho City to various sawmills in the Treasure valley. 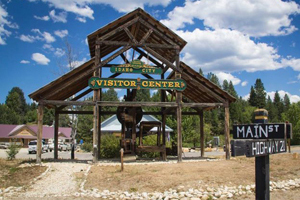 You will then continue on the picturesque Highway 21, also known as Ponderosa Scenic Byway, through historical Idaho City, a small forest town that was once a booming gold rush metropolis and the largest city in the Northwest. 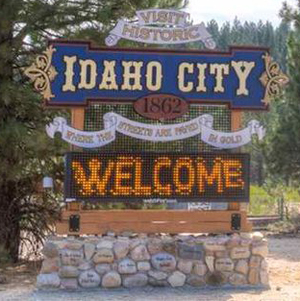 In the 1860’s, at the height of the Gold Rush, thousands of people and families flocked to the Boise Basin to try and strike big from the gold reserves found in Idaho City and the surrounding towns. With the influx of people and the prospect of wealth, Idaho City quickly became the hub for commerce and entertainment with many famous acts visiting the town’s theatres including the Dan Rice Circus, the world’s largest circus. However, by the end of the 1860’s, many of the gold reserves had been panned out and the city suffered from fires and other unfortunate circumstances. The boom had come and gone, but Idaho City still served as an important destination for loggers, hunters, fisherman and visitors from all over the world. On your ride, you will see some of the original buildings as they remind us of one of the most transformative times in Idaho’s history. 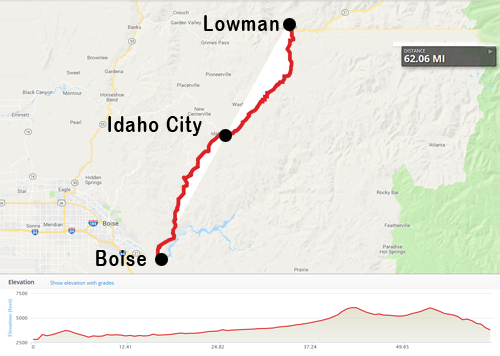 You will ride on past Idaho City to the small, unincorporated forest town of Lowman, which will be our overnight destination. 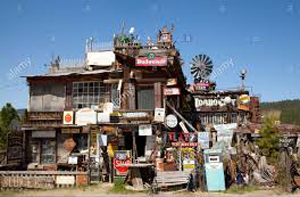 The town was founded in 1907 by Nathaniel W. Lowman when he started a post office in his log house. 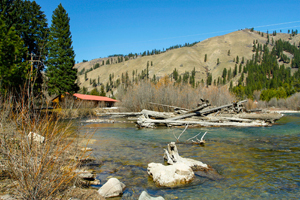 Situated on the South Fork of the Payette River, Lowman boasts spectacular scenery and a picturesque backdrop for our camp. We will be camping at South Fork Lodge, which is set on 42 acres that boasts both mountain views and riverside views of the South fork of the Payette River. Transportation is your responsibility when booking accommodations away from camp.